Ask anyone who travels often, and most will tell you they like to be seen as a travelers as opposed to tourists. A tourist usually only sees what’s in his guide book’s top 10 attraction list, sticks to the beaten path, and stays in comfy, American-like hotels (if he can find any). In essence, this is what the average American tourist seeks. You know who I’m talking about–The Ugly American. I remember hearing this term when I studied abroad. “Don’t be the Ugly American,” they’d say. What’s wrong with this McDonald’s, sweatshirt-n-jeans, and fanny pack-loving crowd? The problem with this picture is that being one of these will hinder you from ever truly experiencing the real people and culture of the place in which you fortunately find yourself. In all of my travels, the only times I’ve ever really felt a connection to where I was visiting was when I didn’t stay at a hotel and instead opted for staying with friends, family, or acquaintances. It’s impossible to not feel deeply-rooted to a place when you’re waking up to a traditional local breakfast, drinking coffee and conversing with the people going about their everyday routines, and otherwise just being a part of the daily life there. Here, you’re not just a tourist–you become a part of their lives for that day, week, or month, etc. And if you’re lucky, you may even make pen pals or lifelong friends. 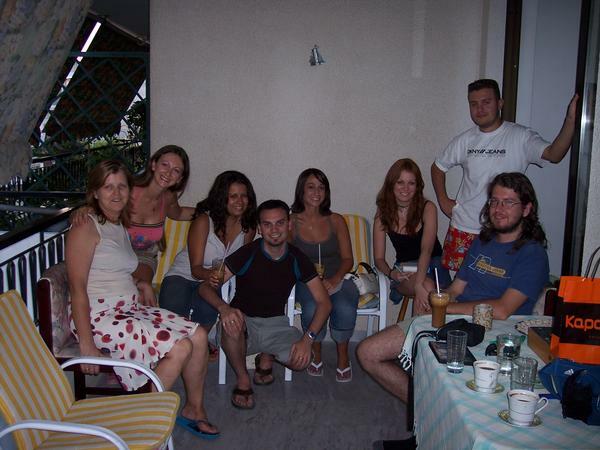 My most memorable vacation–and perhaps my best one– was when I went to Greece in 2006 and stayed at my friend’s cousin’s apartment in Athens. Spending so much time with his family not only made the transition into Greek life and culture (and language!) easier because of their kind hospitality and warm reception, but it helped guide us to the authentic places that we may have not known about otherwise. This is the upside to couchsurfing–you may not have the comforts of a hotel, but what you get more than makes up for it. You probably will end up eating at genuinely good restaurants that you know are good simply because it’s where the locals eat and not where they just try to lure tourists and charge and arm and a leg for a less-than-spectacular gyro. Although my friends and I saw most of Athens on our own, the family we stayed with took us to some places we wouldn’t have had access to since we didn’t have a car out there. During one of the two weekends we were there, they were generous enough to take us to their vacation home a couple of hours away. This place, Dilesi, was more in the countryside and unlike any other place we’d end up seeing in Greece (Athens or Santorini). For two days, we were without any Internet connection and probably without cell phone reception or cable, but it made our time ever the more so unforgettable. We taught them how to play UNO, and this along with drinking Greek wine, kept us up late into the night laughing, telling stories, and making memories. How easily we forget how much fun there can be had without the aid of technology… I can’t capture the immensely amazing experience we had there in words without detailing how the tears flowed when we had to say goodbye to this family, who by the end of our trip, had become an adoptive family of sorts to us. Five years later, I still keep in touch with them occasionally, and I can’t wait until the day we’re able to meet again. What I’m saying is, this never would have happened had we stayed in a hotel. We wouldn’t have made new friends or even seen this place that was so out of the way for us to get to on our own. Not only did we save a ton of money by staying in someone’s home, but our vacation was made all the more incredible by the people we met there. Those are the things that stay with you forever–not whether or not your hotel room features a fluffy bed to lay your head on; although that is lovely too, it’s just not what great memories are made of. 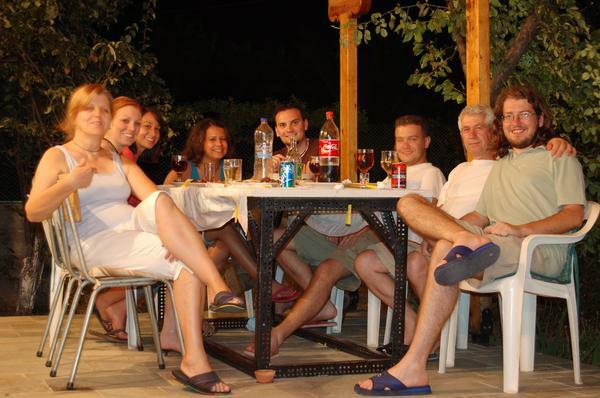 Tags: Athens, couchsurfing, Dilesi, Greece, hotels, tourist, traveler, vacation. Bookmark the permalink. Previous post ← I’m baaack!